Previously, I discussed the way that the internet caused vast changes in the distribution and consumption habits of music. But, did it really change the way the artistic quality of music itself? A little bit, but not in the way that the internet, and a number of other factors, contributed to a radical shift in the artistic quality of television. Ten years ago, it was common to praise a TV show for being “more like a movie than TV,” the implication being that TV was an inherently inferior medium, a sentiment reinforced by HBO’s classic tagline “It’s not TV. It’s HBO.” Today, I feel like you’d be more likely to see a film praised for having the depth and narrative scope of a good TV show. TV as a medium dominates the cultural dialogue in a way that movies haven’t, and the most memorable and socially important works of the decade were almost all on TV. What did these works, like The Wire, The Sopranos or Mad Men, have in common? They were all intensely serialized, assuming that the viewer will have seen every episode and will be doing the work to make connections that aren’t easily spelled out. This kind of seralization wasn’t as common before the 00s, and I’d argue a big part of why it came about, particularly on network and genre shows, was the way the internet facilitated viewer discussion of individual episodes. Before the decade, it might have been easy to assume that viewers drift in and out and references to continuity would go over peoples’ heads. But, the internet made it clear that people do remember and do care about continuity and are willing to go in depth analyzing TV. The nature of the internet, with its focus on up to the moment coverage and endless discussion, makes it ideal for writing about a TV show. The internet writes about movies before they come out for months, but there’s very little actual writing on films after they’re released. An article about Inglorious Basterds written now would feel ancient, the hype and discussion cycle burns itself out rapidly without new material to cover. But, a TV series always gives us something more, a new episode to analyze and chew over each week. In the print era, it was impossible to cover a show on a weekly basis, so it made more sense to write about movies. Now, I finish watching an episode and hop online to see what others are saying about it. This change helped pave the way for more complex shows, but the biggest single catalyst for the artistic shift was the rise of the season long DVD box set. Some shows released select episodes on VHS, and big fans would have VHS collections of an entire series taped off TV, but it wasn’t until the release of the first season of The X-Files that the idea of putting out an entire season for commercial release was broached. I remember when it happened, how excited I was to be able to go back and watch a show from the beginning, in order, and catch up on the seasons I had missed. Until then, it just wasn’t possible. The DVD box set quickly became a must for every series, and a huge revenue stream for the studios. As a viewer, it changed the way I perceive shows. I’ve always been a completist when it comes to watching things, and I don’t like to start something in the middle. So, rather than jumping on to an acclaimed show in the middle, I’d pick up the first season and catch up on the series to date before picking the show up in progress. That’s how I watched The Sopranos, The Wire, Angel, Veronica Mars, Battlestar Galactica and many other shows over the course of the decade. I’m more likely to watch a show from the start now, simply because I’m more involved in the critical community surrounding shows, but that’s a consequence of having been so voracious in consuming many series. This shift in viewing patterns encouraged intensely serialized shows because it meant that your only revenue source wasn’t the initial airing. There was the sense of creating something historical and permanent with an episode, not a piece of disposable entertainment that was only there to sell a few commercials. TV has never been better than this decade, and anyone who doesn’t agree with that statement is delusional. That’s not to say that you could just turn on the TV and find something great. Reality TV is generally terrible, but it’s not exactly a new terrible. Those shows are descendents of shows from the 50s. But, at this point, you don’t just need to turn on the TV and watch whatever’s on. The DVD box set made it easy to always have a good show available, but we’ve also seen the rise of the DVR, which even more than the VCR changed the way that people view TV. Hulu was perhaps the final blow to the live broadcast. With so many commercials in each episode, it really makes no sense to watch any scripted show live. That’s hell for the network’s ad model, but great for the viewer. TV has ascended to a cultural peak, becoming the dominant medium in the cultural dialogue. The Wire was a systematic examination of the issues facing the urban poor in America, and the vast flaws in our infrastructure. It was one of the few Bush era works of art that really examined what was happening in our world. The Wire was more powerful than a hundred rote “unbiased” Iraq dramas cranked out by the Hollywood system. The Sopranos explored the lives of the middle class and wealthy today, struggling to maintain status in a society that seemed to be shifting rapidly downhill. The Sopranos may be best known for its mob action, but I found it to be an incisive look at the mentality of your average suburban family and the pressures and dreams people have today. The show depicted the world I lived in in a way that no film came close to. But, where do we go from here? Hulu was a fantastic success, but it’s threatening to become a pay site, and even with some minor internet revenue streams, can shows like Lost ever happen again on the broadcast networks? The ad model is changing rapidly, and it’s unclear where money will come from in the future. The next decade will likely be as tumultuous as the previous. My guess is that we’ll see a continued stratification, as the networks increasingly produce cheaper, unambitious shows to fill out the bottom line, while investing in a few signature shows. Cable channels will continue to make great shows as a way of justifying their place in the channel lineup, but in ten years, the very notion of cable TV could be a relic of the past as content increasingly moves online. Where does the money come from then? That’s the question. I just hope that the longform TV series isn’t cut off in its artistic infancy. People have a desire to watch these shows, to experience these stories, and I just hope there’s a way to make it financially viable going forward so that we can continue to see shows like Mad Men push the boundaries of what a TV series can be. 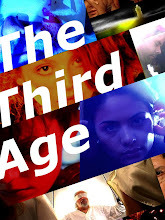 A long time ago, I mentioned that I was working on a magical realist webseries project called The Third Age, and now, after two long years in production, it's finally being released. The debut date is November 17th, new episodes will be released weekly after that. So, if you're wondering, what will I think about now that Mad Men is ending, well you're in luck because T3A will be dropping upon you. 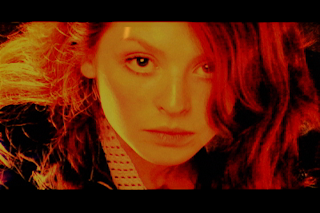 Here's an excerpt from the press docs on the series to give you an idea of what it's about: "The Third Age is a magical realist webseries, a psychedelic remix of classic mythology, telling the story of ordinary people caught up in an eternal war between gods waged on the streets of New York City. The first season consists of thirteen seven minute episodes, distributed by Blip.TV, and will be released weekly, starting November 17th. The series blends fantasy elements with a reality based setting to tell a story that is personal in focus, but epic in scope. The story crosses a wide range of characters and scenarios, and will unfold in its entirety over the course of two thirteen episode seasons." You can see more info on the official site or check out the trailers here to get a taste of the visual experience. To keep tabs on the progress, check out the news blog or join the Facebook group. Also, if you write for a blog or other media outlet, let me know, I'd be happy to set you up with a review screener. Thanks!